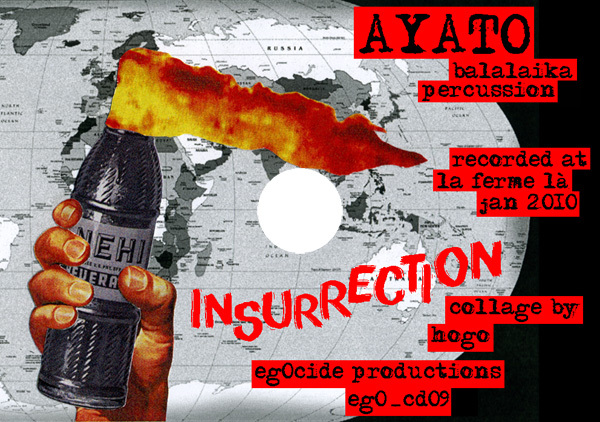 Insurrection is a 6 min track of rythmic ethno-ambient, made with only Balalaika and (filtered) acoustic percussions (darbuka and kayamb). This entry was posted in (no more) physical releases and tagged Ayato. Bookmark the permalink. Pingback: badablog » Ayato II, le retour.